I didn’t play The Caligula Effect when it originally came out on the Vita a few years ago. I don’t own a Vita, and at the time I wasn’t doing any sort of game reviews so my chance of playing the game was effectively nil. Still that didn’t stop me from hearing of the new mediocre JRPG by some of the original Persona staff. Caligula Effect managed to sell decently in Japan despite poor reviews, and so here we are with the expanded console release. 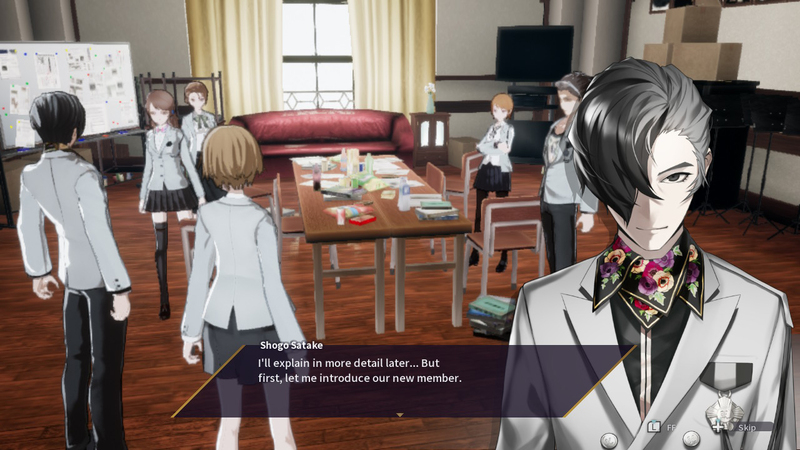 The Caligula Effect: Overdose adds a ton of story content, new playable characters, and a few quality of life updates to help smooth the roughness of the original. 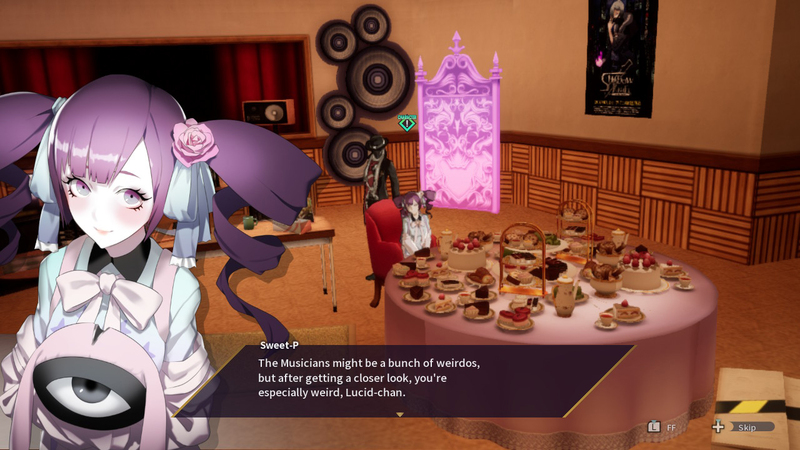 You play as an idealized version of yourself, a handsome teenage Japanese man or woman, trapped in a virtual world created by Virtua Dolls, off brand Vocaloids. The world is created to be a paradise for those with horrible traumatic real world issues. A small quiz at the beginning lets you pick your own vague traumas, which act as more of a tone setter than an actual story element. The ideal you immediately discovers that this is not an ideal world, and I mean immediately, about 30 seconds into the first cutscene. The others residing in this world are slowly going insane, becoming hostile digital zombies. You meet a helpful Virtua Doll that grants you powers, you meet some like-minded individuals, and reach a consensus that you have to leave this world by tracking down the Virtua Doll that maintains it, Mu. The Go-Home Club are your allies, trapped in a cycle of virtual school life (seriously, I can’t understand why anyone would think highschool would be the setting of a virtual heaven). The enemies are musicians who help Mu maintain the world by creating brainwashing songs. Soon you’re locked in a philosophical war, and in Overdose you can engage in both sides, elaborating on what I personally think is a much better written scenario. The gameplay begins incredibly promising. A unique combat system utilizing a few seconds of clairvoyance and an attack timeline lets you pick and choose how you want the battle to unfold. Counters, dodges, and team combos are all maintained within this “Imaginary Chain” and it can get pretty creative when it works. I was able to pull off some spectacularly damaging combos, but if just one part of the chain breaks, it can stop abruptly. Most of the fun techniques are made to only work on enemies being juggled or already downed, but if one attack fails to land you can easily lose that state. In those cases the animation will simply play out with no damage. As neat as meticulously planning out a slaughter can be, keep in mind that this is a dungeon based JRPG, and you will be doing this thousands of times. The auto mode lets your party members do their own thing, while you stay responsible for your own character. I swear the party AI is smarter than me, and even during boss fights I was inclined to let them clean house. It’s a neat battle system and a lot of the characters add their own new layer to it, but unfortunately it feels like it’s wasted on a game with this many encounters. I spent four hours in the first dungeon. Four hours listening to the same pop-idol song. Floor after floor of mazes and enemies, and finding treasure chests containing vague equipment named after real world complexes. At a glance I have no idea if a “Perfect Queen” is a stronger armor than a “World Embryo”, and I’m certainly not going to remember when it’s time to pass it onto the next party member. The dungeons get a little better as it goes on but still suffer from an unhealthy dose of busy work. Rather than an easy mode, Caligula Effect needs a “cut-to-the-chase” mode. The character development is the only saving grace of this game. Since each character is placed in this world due to a real life trauma, of course there’s going to be some juicy, if not melodramatic, stories. 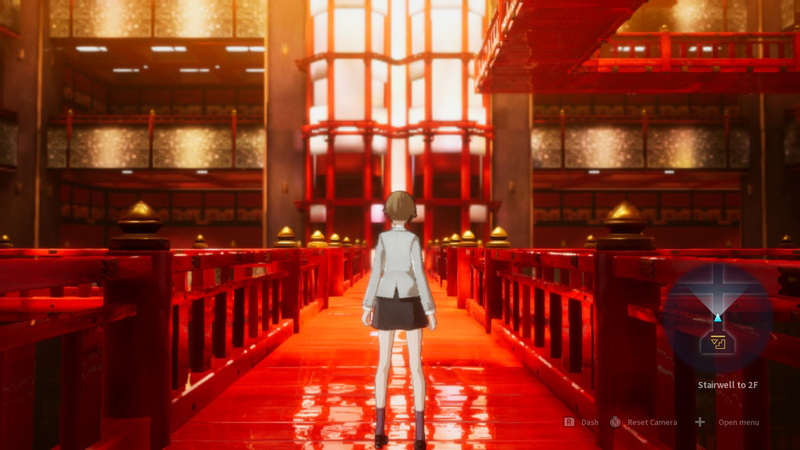 I wanted to primarily engage with this aspect of Caligula Effect, but you have to progress in the story if you want to progress the characters. Early on you learn that everyone is only an idealized version of themselves, some only loosely based on their real world form. As you get closer and closer to each of the 20ish characters, they start to open up to you about their real selves. Some of them are quite obvious from their main plotline involvement, but there are also a few really fun surprises buried in there. Not all of them are written well. Body dysmorphia plays a role in a handful of plots, but is handled poorly, even sometimes offensive. Ruthless fat shaming, tactless peeping jokes, and just a weird general air of sexism create harsh narrative dissonance. Before you say identity politics don’t belong in games, keep in mind, this is a game about teenagers suffering primarily from identity and social issues. This is where frustration really kicked in for me. Each dungeon feels longer and longer as I wait for the next character cutscene, but instead I’m backtracking and hitting switches, getting into 20 encounters between each switch. Never before had I wished so hard for a JRPG to be a visual novel. Normally this would be expected, this is the nature of the genre after all, but each little flawed element combined makes for one hell of a slog. Consider that not every character story was actually worth my time, then you can see where I’m coming from. Graphically this game is a little blurry, and a little dull. The character art is fun, but the lack of enemy variety probably helps the handful of characters actually stand out. Music plays a big role in the story, and fittingly, each area gets a new track, with lyrics coming in for the battles, and a remix for the boss fight. Not every song is a winner, some can get annoying, but there are some real ear worms in there that I have gone back to and listened to on my own time. Unfortunately, even with the fairly plain graphics, occasionally there are pretty noticeable frame drops in a few of the dungeons. The Caligula Effect: Overdose, reeks of “almost” and “halfway,” while adding only a thin layer of polish. Aspects that should have propelled it to success end up smothered and poorly implemented among bad pacing and game design. I can’t really recommend Caligula Effect as a game, but there is an anime. If you really must engage with Caligula Effect save yourself 40 hours of slow dungeons, and just watch a 12 episode series, which was apparently also mediocre. Disclaimer: A review code for The Caligula Effect: Overdose was provided by the publisher. 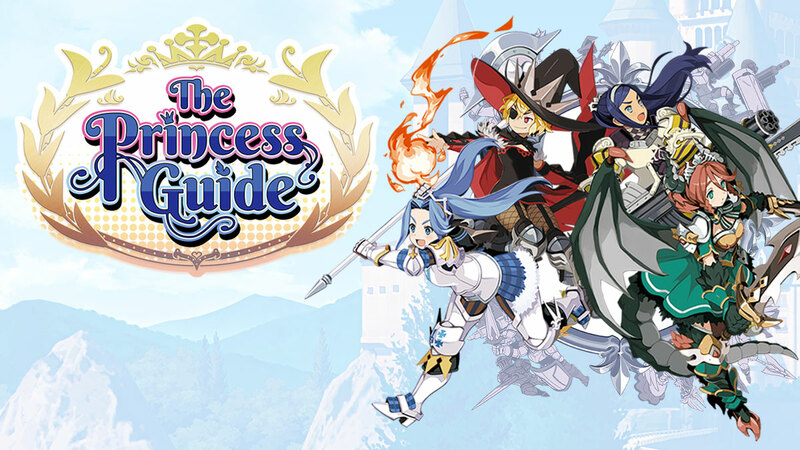 Cool concepts and character driven story is severely knee-capped by long and tedious dungeon sequences. Any stirring plot lines are ruined by strange and frankly gross writing choices. A few small quality of life updates help, but could use quite a few more. This topic contains 0 replies, has 1 voice, and was last updated by Cody 1 week, 2 days ago.